﻿Drum roll please...for my first challenge and the last for 2010 for The Burtonesque Dolls! I am super excited to finally get up the courage to participate in a challenge and plan to do so more in 2011! 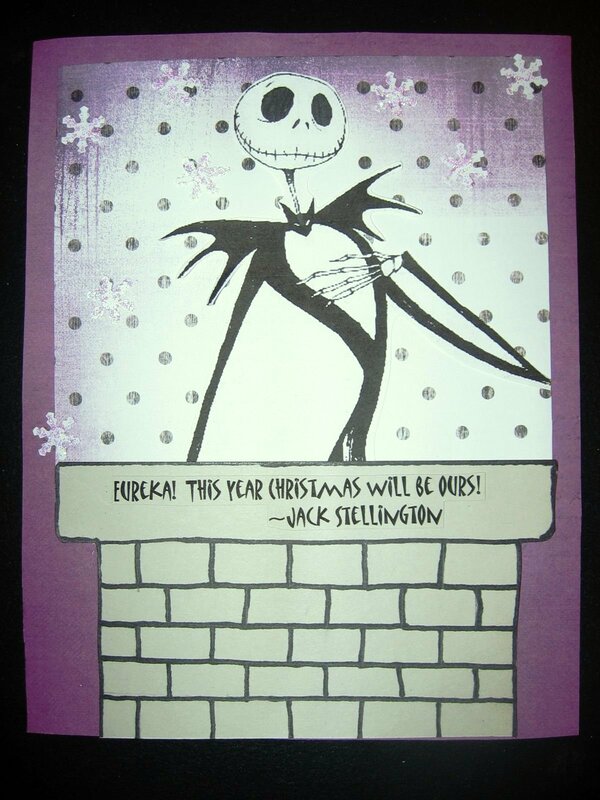 The challenge is WE WISH YOU A SCARY CHRISTMAS...using any Nightmare before Christmas Images Create your best Christmas Project with that Burton Flair!﻿ This weeks winner will win...Three Exclusive Nightmare Before Christmas Images from Simply Betty Stamps. So glad you got up the courage to enter TBD's Challenge Carol! 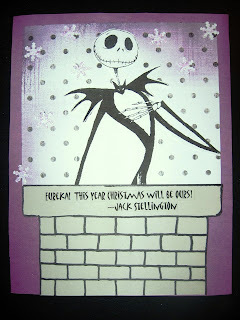 I love your card, Jack in the chimney. Way Cool. Have a wonderful Christmas. SUPER CUTE!!! You did a great job. So glad you decided to enter. Merry Christmas and thanks for playing with the Dolls. great card. Good luck in the contest. Where did you get the jack image? Great card girl!! Thanks for sharing!! !